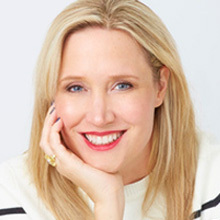 Jane Francisco is the Editorial Director of the Hearst Lifestyle Group overseeing Good Housekeeping, as editor-in-chief, as well as Redbook, Dr. Oz The Good Life and Woman’s Day. She was appointed editor in chief of Good Housekeeping in November 2013. As Editor of Good Housekeeping, Francisco oversees all content for the magazine, which reaches over 30 million readers each month in print, online and socially. Unique to the brand Francisco also oversees the Good Housekeeping Institute (GHI), a state-of-the-art testing facility that evaluates thousands of products and digital properties each year and tests for the Good Housekeeping Seal. Everything appearing in the magazine and website have been vetted by GHI. Francisco has been in the magazine industry for over 20 years holding key positions as EIC of CHATELAINE, the leading women’s lifestyle media brand in Canada, EIC of Style at Home, a founding EIC of St. Joseph’s Media’s Wish (appointed editorial director of the company’s Lifestyle Group adding oversight of Gardening Life and Canadian Family), and launch EIC of the beauty and health-focused Glow. Earlier in her career, Francisco was marketing director at Fashion magazine and worked with Futurebrand creating the image and strategy for new brands in the U.S. and Canada. She also co-created the acclaimed national arts and culture magazine Venue. Jane splits her time in NYC and Toronto with her husband and son.